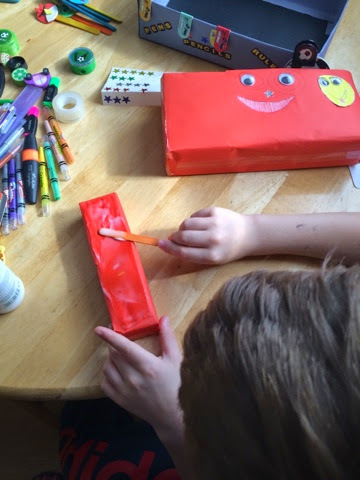 One Busy Mum: Creative and fun - Nestle blogger challenge. 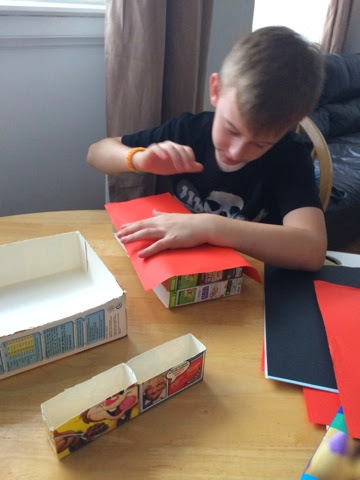 Creative and fun - Nestle blogger challenge. 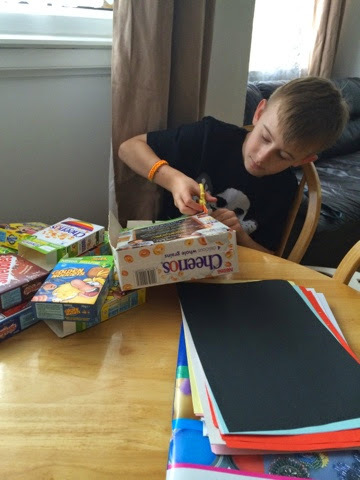 We were recently asked if we would like to take part in an exciting Nestle Cereals challenge, we love anything creative so we couldn't wait to get started, plus it's a great chance to spend some quality family time together. 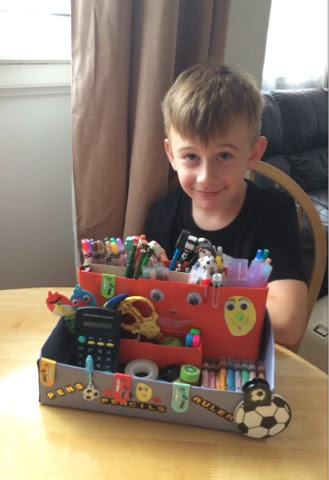 My son wanted to make a desk tidy to keep all his pens pencils in one place..so here is how we did it! 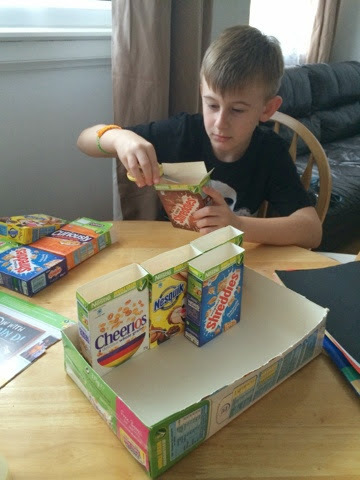 Making a desk tidy we used 1 Nestle Cheerios Cereal box 375g of course take out the yummy cereal first, Nestle variety pack 8 small boxes, Scissors,glue, sellotape, paper for covering your boxes,pencils any decorations you would like to use. Step 1: Cutting boxes into shape..take your large box and completely cut out either the front or back of the box...keep the top flap that makes the lid as you will need to sellotape it back on this is the base of your desk tidy. 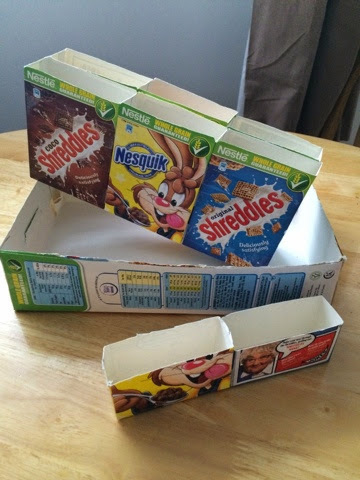 To make the compartment holders for your desk tidy...cut the tops off six of the variety boxes and the remaining two boxes need to be made smaller..these will hold smaller items. Step 5: Glue the smaller box onto your base, making sure it nice and secure before putting in your stationary..there you have it a lovely desk tidy. 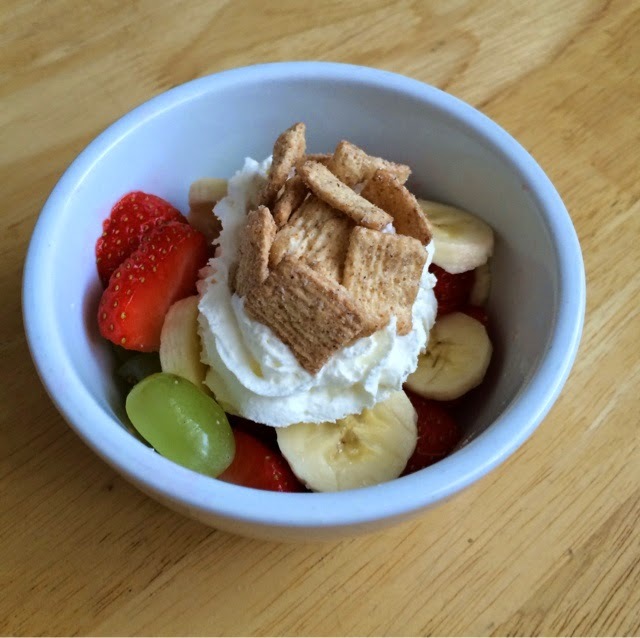 Next we wanted to make a tasty treat, we decided to make some healthy fruit salads using Nestle Cereals. Chop the fruit then place in a bowl, top with fresh cream then add Curiously Cinnamon as seen in the first photo, or Coco Shreddies and Nesquik as seen in the second photo. Enjoy your tasty and healthy fruit salad. We have always been big fans of Nestle Cereals, my sons favourites are Coco Shreddies and Cheerios. We know that breakfast is an important start of our day, Nestle Cereals has used it packaging to make it easier for parents to spot which cereals contain whole grain. If you see the green banner across the top of the cereal box you know your looking at Nestle Cereals... not only does this show me its whole grain .. it instantly tells me it has at least six vitamins and minerals...which as a mum puts my mind at rest that I am making a good and healthy choice when choosing a breakfast cereal. 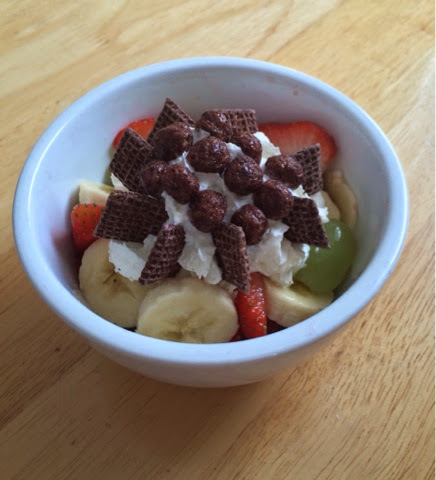 We had lots of fun making the most out of our Nestle Cereals, from being to creative to making some tasty snacks. We were given boxes of cereal to take part in the challenge, all thoughts and opinions are our own. 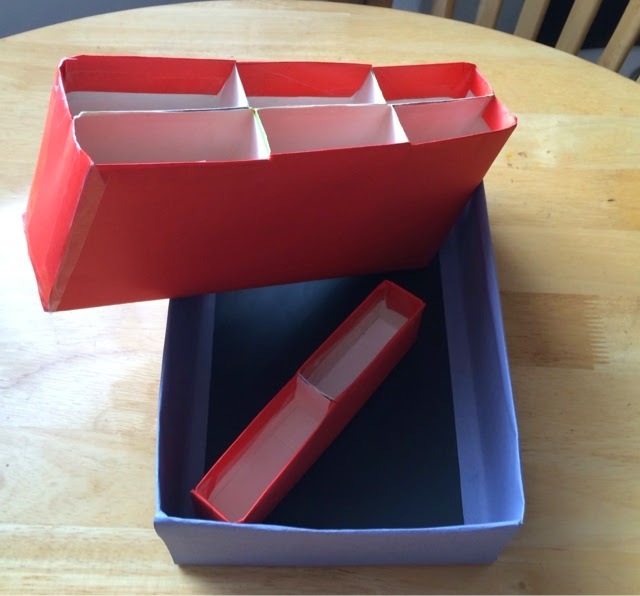 What a great idea - I love all the compartments! my children will love this and any excuse to get me to buy chocolate cereal!! !